Esports are amazing. I know, you probably already know that if you’re here reading this, but it’s worth repeating. The crowds, the precision of the pros playing at levels that are downright unbelievable at times, everything just combines perfectly to create something amazing that just doesn’t exist anywhere else. So, what is this Taunt thing, anyway, and where does it come in? Well, at our core, we’re a bunch of esports fans that felt something was missing while watching games. We wanted a way to prove that we were better at calling how a game would unfold. We wanted a way to get others a little riled up when our team was winning and theirs… wasn’t. Mostly, we just wanted something more, a way to make watching esports more fun. So we made Taunt! Okay, okay. I’ll cut to the chase. Taunt’s a game for iOS and Android that you play during live esports matches. Grab your friends, play alongside your favorite players and teams, and get loads of points to rise to the top of the leaderboards. Answer challenges our GMs are curating in real-time about the game you’re watching. Pick your favorite team and player to score points when they get kills, destroy towers, and win games. Play Power-Ups to boost your score by predicting anything from there being no kills for a few minutes to a specific player dying in the near future. Of course, no game is ever complete without a healthy dose of salt and trash-talking, so there are plenty of ways you can... taunt your friends, too. We’ve been in closed beta for almost a year now, and it’s finally time to show the world what we’ve been working on. 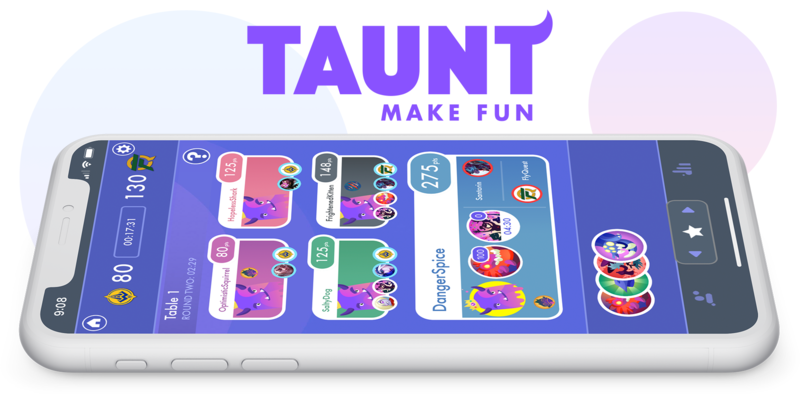 You can download Taunt on iOS or Android now and play along with the NA LCS playoffs this weekend. It’s about to get crazy fun, and we’re thrilled you’re along for the ride. 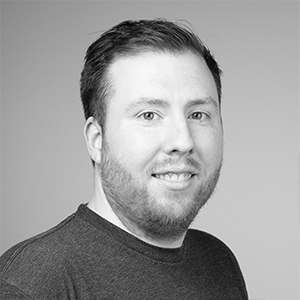 Self-proclaimed waffle iron expert who has loved marketing video games since 2012. Often mistaken for the Pittsburgh Pirates player by name only. Co-host of Instead Of, a very dumb podcast about hypothetical questions.